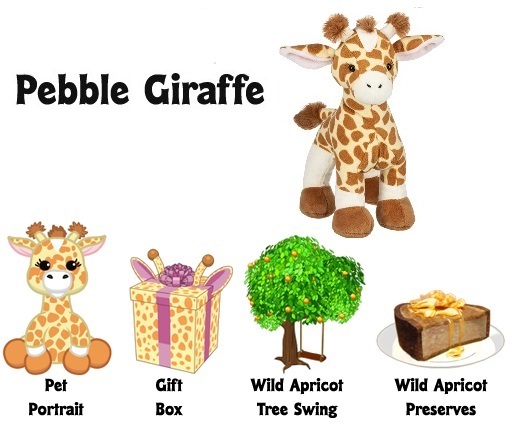 I think the giraffe is a-dor-a-ble! 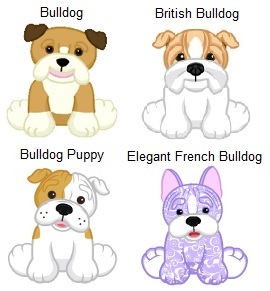 can you show the british bulldog (which i always thought was white) against the other current bulldogs please? I’ll be on tonight around 9 or 10 if anyone wants to lose in checkers. Just dropped by to say Hello, Miss you all, See you soon ! Bye for now & Have a Happy & Healthy Week my friends! Now I need to get 250kc in that solitaire game, but that’s ok because I like that game. You’re welcome! it was super fun! I’ll lose checkers for anyone! Thanks for all of the tips on choosing a checkers opponent .. Having started that part of the challenges yet but hopefully will be able to do some serious checkers this weekend ! Boper… still chucking about your last post !!! Hope school is going well for you! moms.. I agree.. the giraffe is darling ! Weather here remains beautiful… 80’s and partly sunny ! mine is cheaper, covers more and is available in boston……..so?? and the cake mix is vegan……. 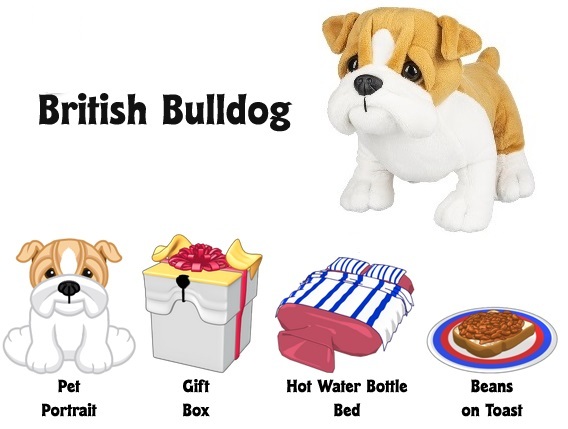 I’d never seen the Bulldog puppy! It’s CUTE! Read back a bit. So did they do an early deluxe sale on the goblins? I saw them in the daily events and then they weren’t in the estore, was so confused. Saw on the newz they will be there on the 12th. I’ve been playing on and off is hard to keep up with everything not getting on every day. I went to MSU too Puma. My older daughter is there now. Getting frustrated with my online class. We have discussion posts every week and we’re supposed to make our post and then reply to several others. We can get up to 15 points for this and the grade breakdown is 2 for the initial post being on time, 5 for the content of that post, 2 for replying on time, and 6 for the content of the replies. I’ve posted everything on time, replied to multiple people, and I think I’ve made some good quality posts. However, for the passed 2 weeks I’ve only received 8 points . Considering I’ve posted everything on time, the only way my points could be that low is if the content of the posts is seriously lacking (which they aren’t). I emailed the professor a week and a half ago and she said she’s still grading them, but you’d think she would be done by now, especially since these are for 2 different weeks. I highly doubt she’s this far behind because she’s very prompt with posting our stuff, replying to posts, and grading a recent assignment. I don’t wanna keep bugging her, but these posts are worth a big part of our grade, so I’m pretty concerned about this. Should I send another email or wait? HALLOWEEN CHALLENGE = WHAT is needed in the 3rd part of challenge ?? I have asked 2 times now and no one seams to care. I do I like playing the game to destress . I can relate to you about discussion posts choco, I currently have a prof that hasn’t graded my week one or two posts either, although I haven’t been in session as long as you, I don’t think. I guess if she’s bogged down with the class’s work she shouldn’t have assigned such a large amount. I wouldn’t worry about it too much yet unless you need to know the grading information to get through whatever you have next. Finally Friday !! So Happy ! Mom T… just reached 3 challenge this morning… you need 120 points by playing Pinky’s Adventure…..200 points playing Home Before Dark and finally 20 pieces of candy from Friends… Choices now include the hosts which doesn’t always happen… Other members probably will reach 3d level today… most likely that is way no one responded ! RubyCubes that you so much for the very thoughtful gifts !! moms… thank you too ! none are usually perfect but sounds like you have researched them thoroughly and will make the right choice for you and your family..
Hope you all have a good day… CLE baseball starts their playoff games tonight… Has been since 1948 for them to win championship… Maybe this will be our year !!!! RubyCubes! I SHRIEKED when I saw my kinz-mail this morning!!! *high pitched noises* THANK YOU!!! Thank you to Mist and Ruby for the lovely gifts!!! I’m behind on the challenges too. I haven’t even started playing checkers. Boper LOL! You are so right! I always play Sheldon too. We thought we were out of the woods with Diesel and then he coughed up blood. Our vet suspected he had cancer earlier this year, but didn’t want to put him through a biopsy. X-rays show he has cancer somewhere because it’s metastasized to his lungs. We are keeping him comfortable and this morning he was pretty perky. He’s just breathing a little heavier than normal. Vet again today, possible ultrasound, I don’t think it will be too long. We don’t want to prolong things to the point where he is in distress. I am so heartbroken and feel like I’ve cried a million tears. This is the hardest part and we’ve gone through this before, but it never gets an easier. Awww! Sorry about Diesel, April! That is so hard to go through! I haven’t reached level 3 of the challenge. So behind on all my accounts! But slowly working my way through! April, I’ll be on between 8-9pm tonight (if toddler bedtime goes well LOL), if you want me to lose 3 rounds of checkers for you! I don’t think we’re WW friends yet. Is your Webkinz name April1013? I can add you.